it didn’t even have a name—just a spit of green on the choppy waters of a Piney Woods lake. Even still, it beckoned. A few friends and I approached by boat and motored through a gap in the hardwoods at the island’s edge. Nosing ashore, we gathered fishing poles and camping gear and spilled onto dry ground, over a big fallen log, and into the shadows of the forest. Mature pines towered above, a blanket of their accumulated straw giving softly underfoot. To widen our path, I hacked at thorny greenbrier with a machete until we came to a small clearing where we stopped to look around. Long-downed limbs would provide ample firewood. Gaps in the forest allowed glimpses of water. There were no signs of other humans. It was perfect. 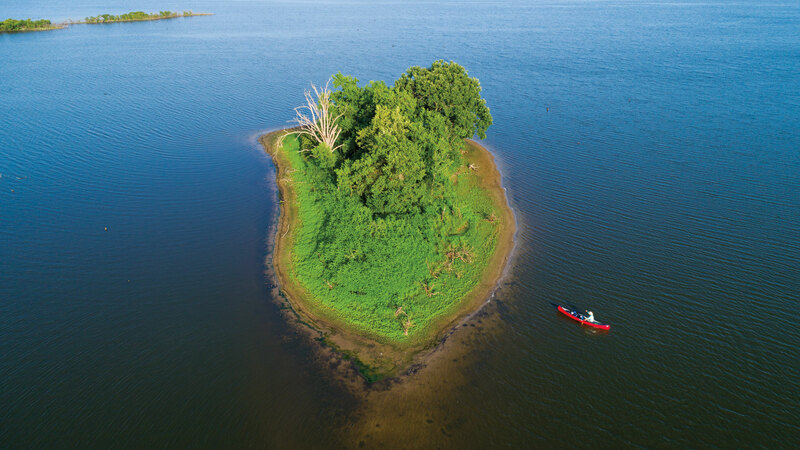 We’d come to this water-rimmed refuge—on a privately owned reservoir near our East Texas hometown—in lieu of a bachelor party last fall to camp, fish, and indulge the groom’s lifelong fascination with islands. Not any island in particular; more the idea of them. In Texas, the barrier isles along the coast deserve most of our attention. It’s hard to beat the sandy beaches of South Padre or a night on the town in Galveston. But islands dot inland rivers and lakes, as well. Many are owned by the state of Texas—and, by extension, all of us—awaiting visitors who will seek them out. And most will not. Ready for an Island Campout? Not so fast: It’s a little more complicated than scouting a prime spot and declaring, “Water on this side, water on that side, pitch a tent,” says Robert Sweeney, the general counsel of the Texas Parks & Wildlife Department, who offers his personal opinion as an attorney specializing in real estate, river use, and environmental issues. 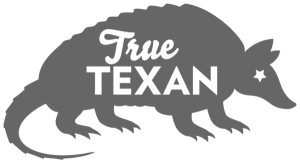 Lake islands are usually managed by the entity that also manages the lake or reservoir. Some, like the Sabine River Authority, are fine with short-term camping on islands. Others, like the U.S. Army Corps of Engineers (administrator of Sam Rayburn, Lake O’ the Pines, and Lake Whitney, to name a few) are not. The Corps does allow visitors to access and fish from islands day or night, though. Find out who manages the lake and learn the rules. 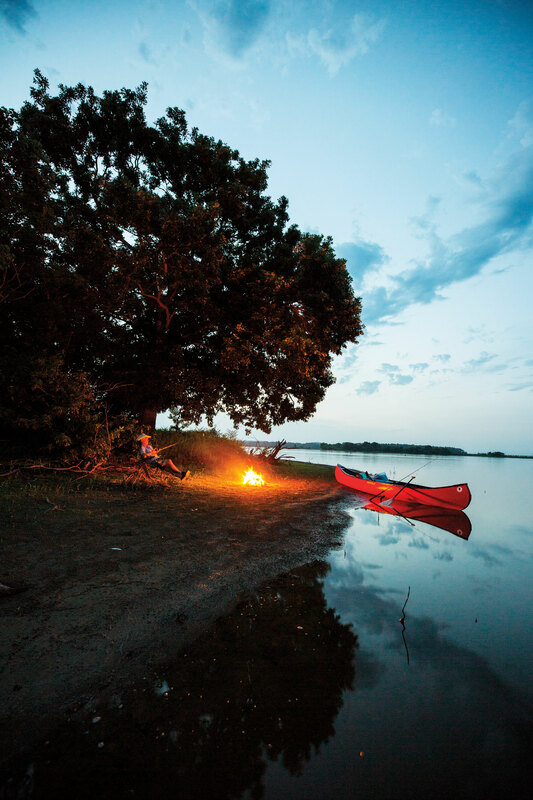 Major rivers, like the Brazos and Colorado, are generally fair game for island camping. An exception: Islands created when the waterway floods or changes course still belong to the original property owner. If you want to camp, keep an eye out for sandbars and gravel bars that have built up naturally over time. Smaller streams are probably off limits for public camping on islands. “If you have questions,” Sweeney says, “consult with the local game warden, the county sheriff, or the Texas General Land Office, and know your rights before you go.” Once there, don’t litter—and keep an eye on the weather. “If the river comes up or there’s a thunderstorm,” Sweeney says, “it may turn into a pretty miserable time even if you’re ready for it.” Or just another day in paradise. No point inviting Bob Spain, a canoe instructor and renowned competitive paddler who is also Parker’s retired colleague from the Texas Parks & Wildlife Department. “I suppose I have not paid as much attention to the islands and always looked for the best and fastest channel around them,” says Spain, who nevertheless documents a few in his book, Bob Spain’s Canoeing Guide and Favorite Texas Paddling Trails. In the book, published in April, he zips around a wide island in the Big Thicket and skirts smaller isles on the Guadalupe River near Spring Branch. On Austin’s Lady Bird Lake, he passes Snake Island, a green dot shown in photos and online videos to be outfitted by visitors with a picnic table, fire pit, rope swing, and even knitted décor on one of the trees. No sign of the isle’s namesake, though surely they slither just out of sight. “Islands will always be places we project onto,” writes Judith Schalansky, the German author and designer of Pocket Atlas of Remote Islands. Their inaccessibility is part of their allure, the crossing over water a literal rite of passage—the more remote, the more deserted, the better. And Texans have options: From my experience, you can pitch a tent on the mud, sand, and weeds of islands in East Texas rivers; string up a hammock between bald cypress trees on a crescent-shaped gravel bar on a Hill Country stream; and lug your gear across the wooden footbridge at Martin Creek Lake State Park near Tatum to spend a night among the pines on an island ringed by a short hiking trail. Islands also emerge from the flow of Texas history. In 1896, Judge Roy Bean, the rascally saloonkeeper and self-proclaimed “Law West of the Pecos,” organized a national prizefight on a sandbar island of the Rio Grande, just beyond the jurisdiction of Texas, which had outlawed professional boxing the year before. Upriver, near El Paso, the infamous Hole in the Wall saloon and gambling den once operated in defiance of Prohibition on Cordova Island, inadvertently created when the United States and Mexico rechanneled the flood-prone Rio Grande. And some of San Antonio’s oldest families have island roots. Not far from the River Walk in the heart of downtown, Main Plaza was once known as Plaza de las Islas for 56 settlers from the Canary Islands who, in 1731, established the first civil government in Texas. Those early Texans were escaping famine when they emigrated from the Canary Islands. Last fall, my friends and I were escaping life’s demands, if only for a day or two, when we got a big fire going and watched the sun set over our island campsite. A cold front blew in that night, driving us one by one to our hammocks strung among the trees. Early the next morning, we roamed farther onto the island, where the air was cool and still. With such heavy forest canopy blocking the sky, there was hardly any undergrowth to impede us, a rare experience in our part of East Texas. It’s hard to beat the sandy beaches of the texas coast, but the islands dotting inland waters also await those who will seek them out. We came upon the relic of a dirt road hollowed into the hillside by years of use. It had been abandoned when the lake was built several decades ago, if not earlier. Kicking around the pine straw, we turned up some antiquated glass bottles and a few rusted beer cans, the old kind with the flat tops you punched with a church key. Nearby, a hunter had left a deer stand in one of the pines. No man is an island, the poet John Donne famously wrote. We are, all of us, “a piece of the continent, a part of the main.” It occurred to me now that he was right, even here. Others had come before, and more would follow. Searching, they’d find this nameless island, or one like it, and linger for a while in solitude and rest. Before long, they’d realize the main was calling them home. Jarring industrial sounds of a nearby steel plant clank and echo across the forest islands that dot the upper reaches of this Army Corps of Engineers reservoir north of Longview and west of Jefferson. Like Caddo Lake downstream, Lake O’ the Pines is part of Big Cypress Bayou, a tributary of the Red River. You can stroll, picnic, hunt, and fish from the islands day or night, but the corps does not allow camping on them (instead, opt for well-kept sites on the main shore). opens Mon-Fri 8 a.m.-4:45 p.m. The short and winding James River meets the larger Llano 8 miles south of Mason. Here, the confluence of these two Hill Country waterways forms a 20-acre gravel island that just so happens to be one of the only spots in Texas where you can legally drive a motor vehicle on a state-owned riverbed. “That’s where most people park and hang out,” says Michelle Roper, a caretaker for an RV park located on a river bank across from the island. “They swim and kayak and fish. It’s pretty peaceful out here.” In warmer months, willow trees provide much-needed shade, and in late December, anglers and naturalists gather to celebrate the release of rainbow trout. Dos Rios RV Park offers cabins, Airstreams, RV spots, and kayak rentals next to James River Island, where primitive camping is free to the public. 4500 Dos Rios Trail, Mason. In the sweltering summer of 1969, Fort Worth grew feverish with rumors of a beastly half-man, half-goat who attacked cars, tossed tires, and generally terrorized the human visitors on this 40-acre island of Lake Worth. More than 100 witnesses claimed to have seen the 7-foot-tall beast, with its “head like a man, ears like a goat, a back like a dragon, one horn, and scales,” The Associated Press reported. Men showed up with guns to hunt the creature. The police got involved, too. Nearly half a century later, cars are no longer allowed on Greer Island—which is still connected to the mainland via a levee—but a 1.5-mile hiking trail offers birding, picnics, and leisurely strolls where the monster was said to lurk. The Greer Island Trail is part of the Fort Worth Nature Center & Refuge at 9601 Fossil Ridge Road. opens weekdays 8 a.m.-5 p.m..
To paddle to Goat Island, start from the Caddo Lake Wildlife Management Area boat launch on FR Camp Road, not far from State Highway 43 in Karnack. An annual $12 permit is required for public use of the wildlife area. Several isles of gravel and silt mound up in the Colorado as it flows away from Austin and toward Bastrop. At 9 acres, so-called Boy Scout Island is particularly popular for paddling breaks and overnight campouts. But why the abundance of islands here? Look to the dams in Austin, just upstream. “When you dam up a river, the flow drops,” explains Melissa Parker, a river conservationist for the Texas Parks & Wildlife Department. “The Colorado near Bastrop doesn’t have enough flow to flush the sediment”—the main ingredient in Texas’ river islands. River outfitters in Bastrop provide overnight paddle trips with island camping on the Colorado River.